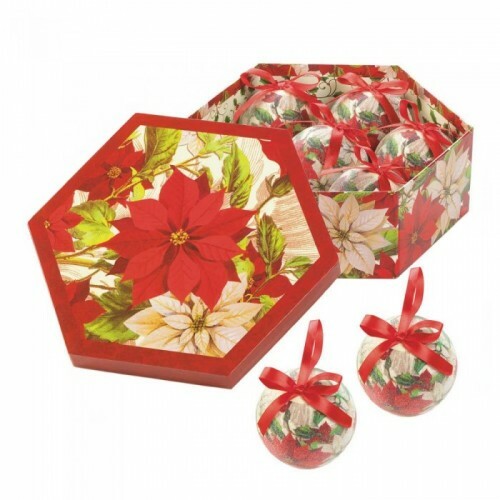 Make your tree truly festive with a pretty holiday floral pattern. This ornament set features 7 classic ball ornaments with a holiday poinsettia design and topped with a frosted finish. 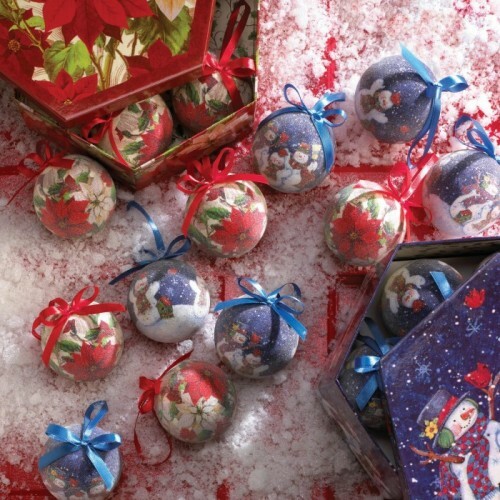 Each ornament is 3" diameter. 9.88" x 8.5" x 3.25"